For many American families, the Great Depression and Dust Bowl struck like swift punches to the gut. New Deal work relief programs like the Works Progress Administration tossed lifelines into the crushing economic waves, but many young people soon started looking farther west for more stable opportunities. A powerful vision of the California dream took hold in the late 1930s and early 1940s, featuring steady work, nice housing, sometimes love – all bathed in abundant warm sunshine. Perhaps most important were the jobs. 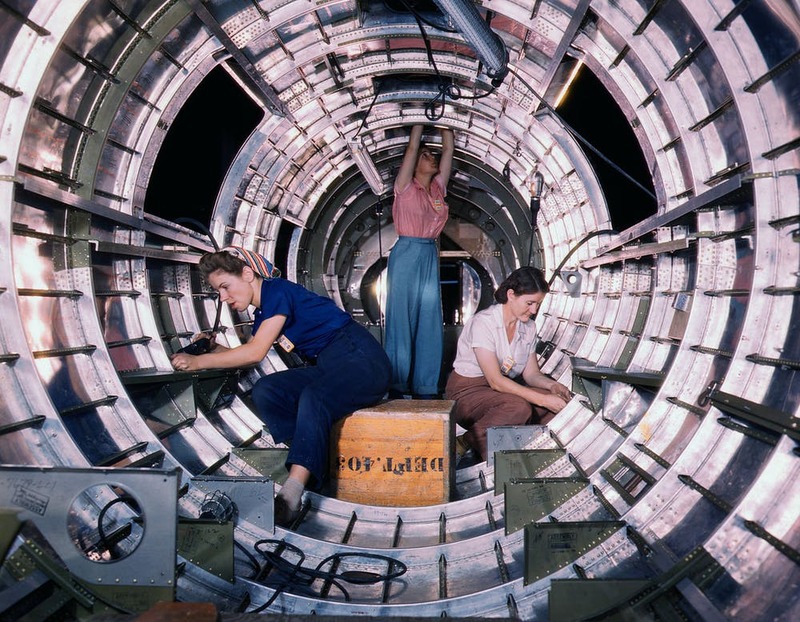 They attracted people to the Pacific Coast’s new airplane factories and shipyards. 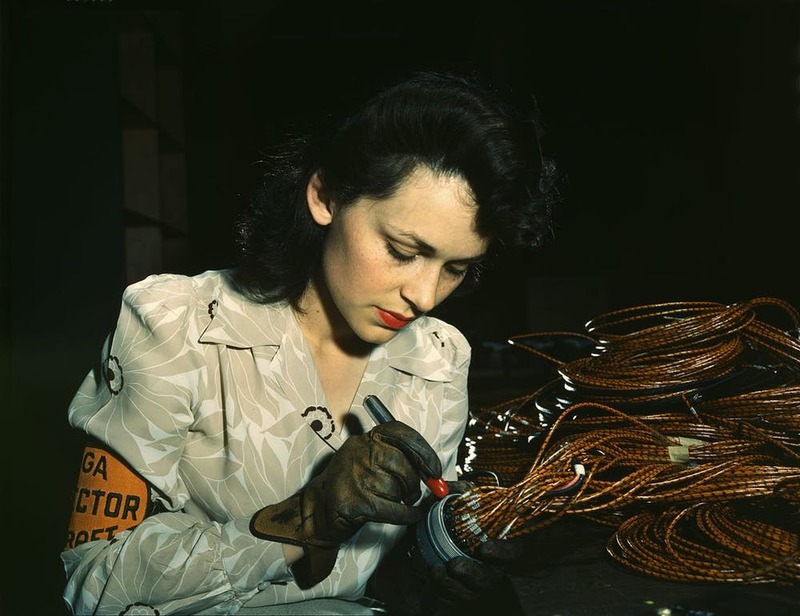 The Japanese attack on Pearl Harbor in December 1941 led to an intensified war effort, and more Americans sought ways to demonstrate patriotism while also taking advantage of new employment opportunities. People from economically downtrodden regions began flooding into California en masse – where nearly 10 percent of all federal government expenditures during the war were spent. Following wartime opportunities west, “Rosie the Riveters” found more than just jobs, though, when they reached the Golden State. And at the war’s conclusion, each had to decide whether her own version of the California dream had been temporary or something more durable. The Rosie the Riveter/World War II Home Front Oral History Project, a collaboration of the National Park Service and the Regional Oral History Office of The Bancroft Library of UC Berkeley, collected hundreds of wartime memories. Originally published by The Conversation under a Creative Commons license. 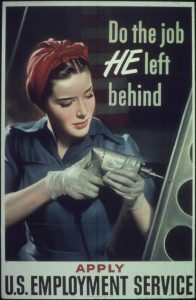 This entry was posted in History, Women, World War II. Bookmark the permalink.